I love that quote by Brooke. Everything you do really comes down to your thinking. As I mingle with folks before my keynotes, I’ve found that many attendees are stuck. Now, I don’t mean that they are stuck in a bad place. They are just stuck. They’ve performed their role as a C-level executive or a director or manager for so long, it’s easy. By “easy,” I mean they know what to do, what is expected, and how they typically will deal with the issues that arise. To get unstuck, many of them think that they need a new job, a new place to work or a new line of work. That may be true and, well, it may not be true. If, as Brooke states, thinking is the only way to evolve and create greatness, then does evolving really depend upon the job or the role? We need to think big to create big change. We need to think big in order to create meaningful change. We need to think big in order to change our identity. That sounds scary! And it can be. It means that you will intentionally threaten your self. Yes, “threaten your self.” That means that you have to put your current self jeopardy, you must be vulnerable and open to growth. That can be very scary and stressful. Yet, it’s only way growth happens. 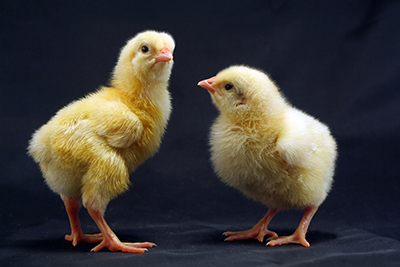 Baby birds go through the stress of breaking through the shell in order to reach their new identity outside of the egg. 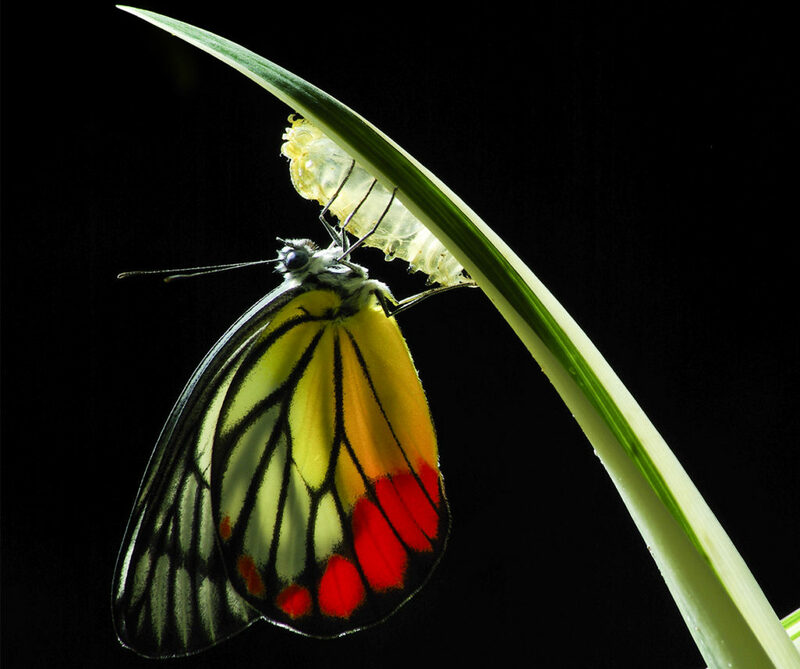 Baby butterflies go through the stress of breaking through the cocoon in order to reach their new identity as a butterfly. Every time you think big… bigger than you can even imagine and beyond where your logical brain can actually see yourself, you are practicing the type of thinking that changes your identity. You are threatening your current identity (which includes your beliefs, values, behaviors, personality and talents). Who you are is wonderful. Have you accomplished more than you ever thought possible? And somewhere along this amazing path, have you stopped thinking bigger? Have you stopped thinking about the distant future? Have you started to assume that your distant future will be the same as others who have passed before you? Humans are creatures of…. what? Did you just say “habit?” Well, that’s only partially true. Before we become a creature of habit, humans are creatures of imitation. We learn to imitate those around us so that we can fit into our “tribe.” We learn what is acceptable and appropriate. We learn how to think and dream from those around us. And, often times, we don’t question it. The way those around us think and dream becomes the “right” way of thinking and dreaming. When you are first learning, imitation isn’t a problem. In fact, it is the recommended method to master new skills. However, once you learn how to think for yourself, it’s your duty to put it into practice and to actually think for yourself. It is the people who think for themselves that perform better and live bolder. They are the cavemen who dreamed of living “outside” of a cave who created houses and homes. They are the people who dreamed of bringing the outhouse in house. They are the people who dreamed of saying “Hey Alexa, I want…” and having their want delivered to their door in one or two days. They are the people who dreamed of deep-frying Twinkies and putting cheesecake in ice cream! What are you doing to expand your thinking? 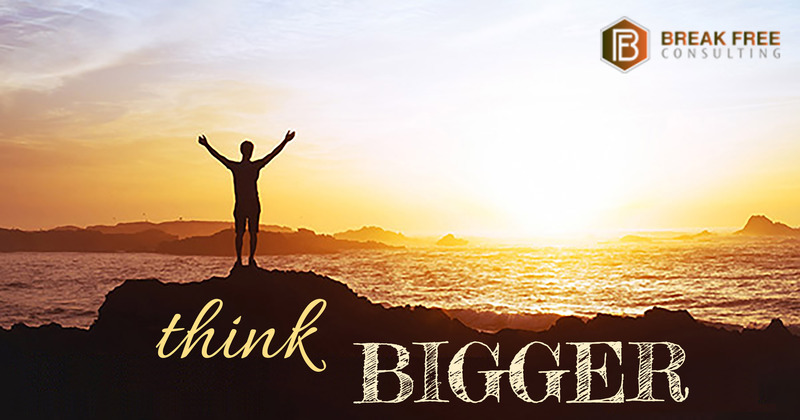 Do you know how to think bigger than you’ve ever thought before? Does thinking bigger scare you? If it doesn’t, then they aren’t big enough. If your dreams don’t cause you to see yourself as a new and better you, with a new identity, then maybe it isn’t big enough. Who do you need to become? What attributes and characteristics, that you don’t currently see fully developed in yourself, do you need to develop? You may want to start by thinking of your heroes. Who are they and why do you admire them? What attributes do they possess? Do you want to develop those attributes? Think about that amazing goal that scares the poop out of you. And remember, if it isn’t scary and doesn’t feel stressful, it isn’t big enough. Now come back to the less stressful present moment and think of who you need to be, the You 2.0 or 5.0 that you need to become in order to achieve it. Start working on those things today. Step out of your “tribe” and conform only to your dreams (not to the dreams those around you). It’s the only way you’ll get unstuck. Thinking big requires creativity and hope. Thinking small only requires you to follow what has already been done and ask for directions. Want to learn more about expanding your thinking? 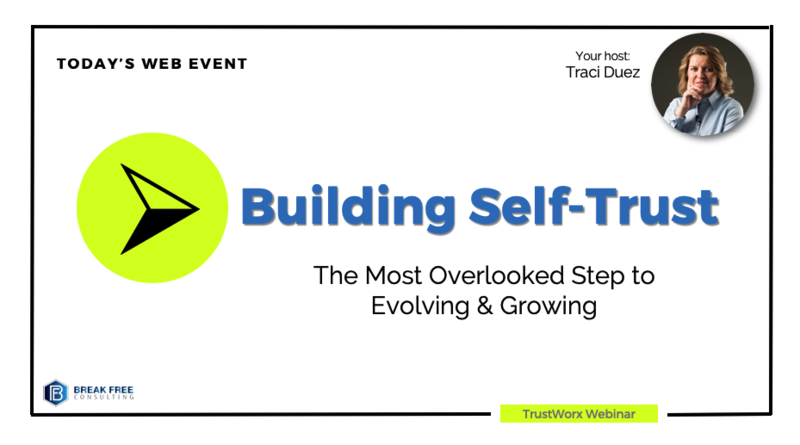 Want to take the next step in your evolution? Check out the upcoming 2-day intensive workshops (15 PDUs) where you will create your purpose, reclaim your power, and walk out with a plan for thinking bigger, performing better and living bolder.